Drop Ivanovic. Check. Change the formation to accommodate a team that won’t ship in goals. Double check. You know what I would have loved? Check check check – a triple check – if Conte would have heeded and dropped Nemanja ‘freaking’ Matic! Whatever love potion the Serbian has forced down Conte’s throat, it’s strong. The lanky midfielder was sloppy on the ball again and is looking nothing close to the force he was two season’s ago. Don’t let the serene look fool you, Conte can literally go from 0 to 100 real quick. 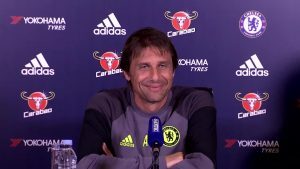 Following successive league defeats at the hands of Liverpool and Arsenal, Antonio Conte expected a response of some sort from his bewildered squad. 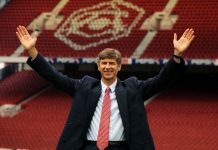 He had made arrangements to ensure nothing would go wrong by dropping out-of form vice-captain (the last time another manager had done that was Andre Villa-boas in 2011) and switching from the much maligned 4-3-3 formation to 3-4-2-1. The new experiment had been one of the fiery Italian’s preferred and trusted formations prior to his move to England. A back three featuring Gary cahill, David Luiz and Cesar Azpilicueta. Victor Moses and Marcos Alonso at wing-back, while Eden Hazard and Willian played a bit more centrally high up front. Hull city, well aware of Chelsea’s recent defensive struggles, had one idea of football on the day; find extremely long balls to Mbokani and wait for Gary Cahill to make ‘the’ mistake. 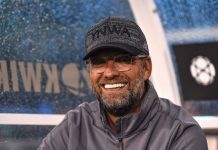 The tigers certainly started the more ambitious of the two sides and threatened to take things early on, except that Courtois – either out of willingness to keep a clean sheet or he heard what we’ve been saying about him at 352 – was in exceptional form. A free kick from Robert Snodgrass (given after a needless and typical David Luiz foul) saw the Belgian react superbly to punch away. And Willian certainly made it look so easy for the first goal, didn’t he? 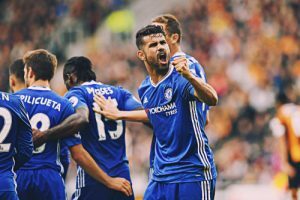 After a break from a first half Chelsea had barely survived, the Blues came out spitting fire. I am quite sure Conte gave them the hair-dryer at half time. Nothing could have inspired them to become as rapid as they became. Maybe weed, but it is sure as hell unlikely that the Chelsea boss fed his players weed. Diego Costa’s pass which was intended for Hazard, was peeled off the little Belgian’s toes by Willian before curling a beauty into the top corner from 20 yards. Six minutes later, Matic was charging forward in a rare productive move forward and hit a shot which was deflected to the path of Diego Costa, the Spaniard striker who was at the same spot as Willian for the first goal, then curled his effort identical to Willian’s into the net to seal the win. It was all about seeing off the game and they did that to perfection. There was even time for a debut appearance for highly rated Nathaniel Chalobah. No Ivanovic. One clean sheet party. The criticism the Serbian captain has been receiving may be harsh but never let it be said that it isn’t justified. The 31-year old has been a faithful servant of the Blues, however, his best days are past him and Chelsea have to move on. Conte was clearly warned about playing three at the back in the premier league prior to his move. Yet, the traditional 4-3-3 formation isn’t working for the team at the moment. With the 3-4-2-1, there was much fluidity in the play when the team was attacking, and without the ball, Alonso and Moses dropped deeper to convert to 5-4-1 and give Courtois as much protection as he would have liked. It worked well with good effect and we may just yet see more of it. 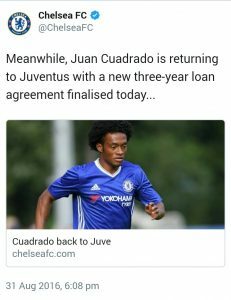 He wouldn’t have loaned/sold Cuadrado if he wasn’t. The Nigerian winger may have finally started to hit the ground running since his move to Chelsea in 2012. It is all down to the trust the Italian manager has put in him so far. It is hard to see a way out for the talented Spaniard. After a chastening afternoon at the Emirates where he was hauled off, the playmaker didn’t even get a run-in at the KC stadium and his future at the club is getting bleaker. 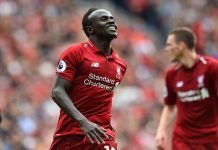 The world stopped spinning after a surprisingly positive start to the league season and a little whisper of doing a Leicester, Hull city have been shoved back into reality with four defeats in five league games. In all fairness to the Tigers, they have played Manchester united, Arsenal, Liverpool and now Chelsea in four of those fixtures. World starts spinning again. A flying start to the season has now been halted by their poor run of form.